Hair re-bonding is a common practice these days. Every woman wants the hair they always loved to have, and opt to re-bonding techniques to achieve this. The hair is chemically relaxed in this technique, to turn the curls straight and tame them. Women with unmanageable and voluminous hair prefer this method to make their hair more manageable. It does look god and lasts for a long time. Re-bonding gives you beautiful and manageable hair. It gives a sleek look. No matter how careful you are, your hair has chances of being subjected to chemical damage. A lot of chemicals are used, which can leave your hair brittle. The roots get weakened after this process, so, the chances of hair fall is increased. You need to handle carefully to prevent loss of hair. There is always a risk of getting your hair burnt due to chemicals or the hair straightener. You will have to keep your hair open and loose at most times, as tying it tight or tucking up can cause damage to it. Each time you sit for a touch up to your re-bonded hair, your hair gets weakened further. It can become susceptible to damage over time. Re-bonded hair needs more care than the usual hair. All the chemicals and treatment procedures leave your hair brittle and susceptible. So, you must be careful while handling. Constant care and protection will be needed to keep your hair away from damage. Given below are a few tips to care of your rebounded hair. Follow them properly to keep your hair beautiful and healthy. In order to let the chemicals seep in and settle well, you must not wet your hair for a few days after the re-bonding session. Your hair will become greasy, but you have to keep on to this rule. Tying your hair or keeping it behind your ears is a strict no. this is because your hair acquires a shape in this state, and you do not want to spoil the look. Ensure your hair is straight when you sleep. It could get a weird shape otherwise. After three days, use a good shampoo and conditioner to wash your hair. It is a good idea to let the conditioner stay on your hair for a few minutes. Stay away from all kinds of heating tools. Even blow drying must be avoided. The cool blast of air option can be tried in case you really have to dry your hair. Leave your hair alone for at least six months. Do not mess with it or meddle with it, as your hair needs time to relax and settle down. The high dose of straightening chemicals can leave your hair tired and vulnerable. So, no hair coloring, no highlighting, and no streaks should be done within this time. Trim your hair regularly to keep your hair in top condition and keep it safe from split ends. Split ends can travel up and damage your hair if not trimmed in time. Hot water will take away the moisture in your hair. So, stick to only cold water for washing your hair. Do not let any residue stay back on your hair. It can cause itching, dandruff, and even hair fall. Keep your scalp clean at all times. When combing your hair, make sure you use a comb which is wide toothed. Separate the strands carefully, and remove the tangles. Plastic combs can cause frizz because of static, so better use a wooden comb. Do not shampoo your hair daily unless it is too oily or greasy. You can also try using a conditioner as a shampoo and just rinse away. This is known as co-washing. Alternate days of shampooing are also an option. A leave in conditioner is a good option. The moisture in your hair is retained, and dryness and frizz is also prevented by using this. Stay away from cold winds, rains, and even harsh rays of the sun. All these and other environmental factors can affect your hair. So, use a hat or umbrella and keep your hair safe. Get hair spas done regularly, or use a hair mask often. These treatments give your hair the necessary nutrition, and keep it moisturized. If you hair gets wet in the rain, get a good wash for your hair as soon as possible. Rainwater contains salts and pollutants, which can settle in your hair and cause damage. A nutritious diet is the most important thing you must keep in mind. Nuts, almonds, cashews, and loads of vegetables and fruits must be incorporated in your diet for proper nutrition to your hair. These foods are great for your hair and keep it healthy. Never expose your hair to the sun and pollution. This must be ensured at all costs. Keep your hair covered and protected always. Re-bonded hair has got more chances of getting damaged due to the sun and pollution. So, be careful in this matter. Make sure your hair never gets too dry. When the hair gets dry, it even becomes more brittle. Moreover, rebounded hair which is treated with chemicals is weaker and more susceptible to damage. Stay away from hot water. Never expose your hair to hot water. When you take good care of your hair, it becomes smooth, frizz free, and looks beautiful. Make sure you stick to a hair care routine to keep your hair healthy and strong. Even though re-bonded hair is susceptible to damage, t=it will never be a problem if you take good care of it. Wow. I love this post. This is the best proper hair care treatment tips. My hair having split ends and hair brittle after 3 days when I wash it. You really right that rebonded hair can increased hair fall. That is my big problem now. Thanks for sharing this. I read more hair care blogs last few day, if you have time you can take a look of this. Thanks again. Thank you very much for this. this is first time to Re bonded my hair. Thank you very much again to your teem. Hi, nirebond po ako last saturday. Ask ko lang kung pwede na pong iligo sa martes? Thanks. hi! I js wanna ask for the best shampoo and conditioner for rebonded hair? My hair type is oily .. What shampoo and conditioner is the best for me ? I just got rebonded 2 days ago pero yung buhok ko parang medyo kumukulot dun sa part malapit sa forehead ko. Anyway one who can recomend a shampoo and conditioner to take care of our Hairs? First it took so long to get a rebond. So i dnt want to go back n the salon again and sit for 8Hrs. Ganyan din nangyari sa buhok ko noon..then i used pantene hair repair shampoo and conditioner…then lagi ko ti ni trim ang dulo..thank God nka recover din ang buhok ko..and i will never go for hair rebond again. My hair is rebonded after 3 days i wash my hair I see my hair have a split ends near in my scalp i got nervous bec.many hair falling. I got my hair rebonded last December 2014 and I was very happy with the results. But then the ends of my hair started to get rough and brittle. I’m also dealing with hair fall right now. Sometimes, my hair gets so frizzy and it looks like a bird’s nest. I can’t really understand my hair because sometimes, it looks so good. It even has volume and it’s so shiny. The ends of my hair are also curled and it looks like it was burned. This is also one of my problems. I tried the Wella Pro Series (moisture) shampoo and it just did an average effect. It didn’t make any change actually. I also tried sunsilk shampoo but it just did the same. I’m currently using cream silk (standout straight) and it felt very soft when I wash my hair but yeah—my hair gets frizzy when it’s already dry. What can I do about this? Please help me. use virgin coconut oil atleast 3x a week. My hair got rebonded last dec. Im quite contented with the way it look but I noticed that I have a problem with hairfall. Whenever I comb my hair, a lot falls. and I Know that having some of your hair fall is quite normal for girls , but Im not so sure if my number of hair lost each time is still normal. Pls give us tips to prevent more hair from falling. Which hair colour is best after hair rebonding beacause my hair are very white .and which conditioner is good after rebonding. Hello.. Is it fine to rebond my Again after a week it was rebonded? Cause last week i got my hair rebonded,they only put chemicals half of the length of my hair..no chemicals at all from the middle to tip.. After three days i took a shower and my hair is so dry,frizzy, and unmanageable.. I feel so sad..
Hi! my hair just got re-bonded last two weeks ago, March 21, 2015. my problem is my hair got itchy and it has dandruff. Since my hair got re-bonded I’ve been only using Cream silk Standout Straight. How will I remove the dandruff from my scalp? what do I have to do? I’m scared to use the wrong shampoo and rub my hair with it. Please Reply asap. I need help please. 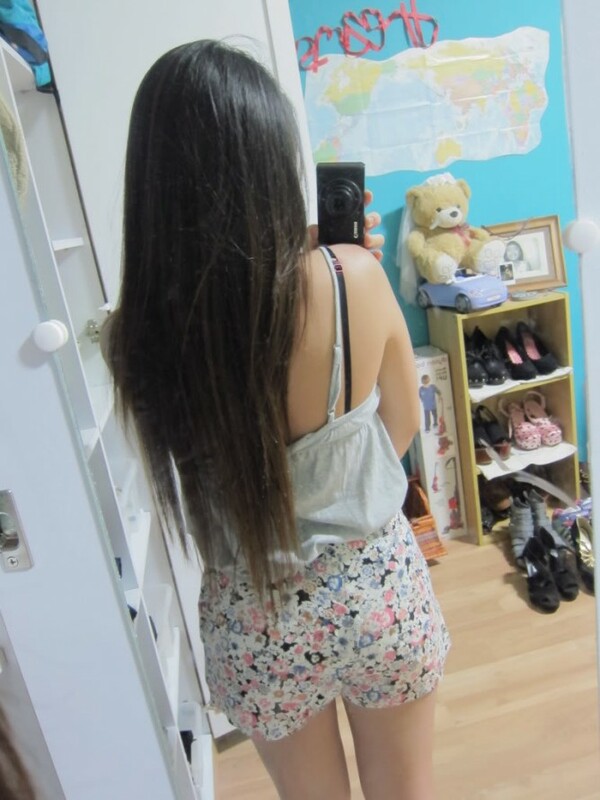 Hi, I had done rebonding last year, til 8 months they were straight, shiny and silky but now my hair started becoming frizzy,dry and lot of knots are there. What shud I do? Hi! Can I use Dove Conditioners for my rebonded hair? HI! MY HAIR IS REBONDED ABOUT 3 DAYS AGO. I WILL RINSE MY HAIR TOMORROW. WHICH SHAMPOO AND CONDITIONER I HAVE TO USE? Hello po I rebonded last aug. 21,2015 and I am wanting to dye my hair… Will it damage my rebonded hair? Salamat po sa blog nio. Marami ako natutuhan to take care of hair rebond. I Love the Post, but please can you give me a product name or a product component which is considerate of less damage to irritating scalp and also to be effective. And my hair is dry our damage …..
Its been six months since i had gotten my hair rebonded. Now that winter is approaching alot of hair fall has started and there is too much of dandruff too. I use Wella Professional shampoo and mask. I just wanted to know how can i reduce my hair fall and dandruff. Thank you! Hi, i just want go ask what to do with my hair,because after 3days rebonded my hair I washed it. and I’m very upset and disappointed because my hair become so dry in the ends and looklike frizzy and dry.i don’t known what to do.I’m. so. upset. and very disappointed to the hairdresser that did my rebond. ask kolng po kung pwede nba ako magparebond mag 2weeks na bby ko sa January 8.plz advice me.kc buhaghag na buhok ko sobrang kapal pa naman, nahihiya na kc ako sa asawa ko plzzzz…. ano po ang magandang gagamitin ko after 3days paliliguan ko na tong buhok ano po magandang gamitin ko para hindi po bumalik agad sa dati, kasi last dec.17 ,2015 nagparebond ako after 3days pinaliguan ko na then nung natayo na bumalik na yung hair ko sa dati na curl then nagparebond ulit ako jan.3,2016 then papaliguan ko na sana ano po yung pwede ko gamitin para hindi bumalik sa dati reply po please salamat. Hi po tanong ko po sana kung ano po ang the best na gagamitin para sa buhok ko na narebond last jan.3,2016 eh papaliguan ko na sana ngayon ano po ang magandang gagamitin ko para hindi po agad babalik sa dati. Kasi po pangalawang rebond ko na po to yung una nung dec.17,2015 eh after 3days pinaliguan ko po then bumalik po agad. Reply po please salamat. hi. i take matrix rebonding but after 3 days rins my hair again curly what should i do. Hi.This is Charm.I got my hair rebonded last two days and just washed it now. I’ve noticed that it looks so dry and have parts which brittled..What should I do? I got my hair rebonded 3 months ago. I have been advised and using Schwartzkopf repair rescue shampoo and conditioner. Now can I switch to Well SP Keratin protect shampoo and mask? I want to use a keratin rich shampoo with no parabens and sulphates. Please advice. Can we use Argan oil for rebounded hair? Hi. I just had a rebond today and after that, it felt like my hair roots are damaged, with curls. Do you think that it was burnt, because the stylist was not able to rinse it properly after she put the first treatment. Now, my hair looks so ugly. What should I do? Hi, I just had my rebond yesterday and after the treatment, I had burnt hair roots. Is it because that the stylist was not able to rinse my hair properly after putting the 1st hair rebond treatment on my hair? Can you help me? What can I put to my hair to remove the burnt hair roots? Some of my hair ends are also burnt and became curly. Please help. Thanks. Do rebonding effect sensitive skin as I had sensitive skin n I had to go for rebonding as my hairs r messy n curly..
What was the best shampoo and conditioner for rebonded hair? can i use oil after rebonded nd can i use shampoo daily ? Thank you so much for the advices. I have not don rebonding yet n I wanna do it. Please tell me that which rebounding products is the best? Hi! I’d like to ask if how many weeks pwede magpa-haircolor after rebonding? Kakaparebond ko lang last Saturday. Thanks! Hi! I’d like to ask if when pwede magpa-haircolor after rebonding? Kakaparebond ko lang last Saturday. Thanks! This was very informative.I had rebonding last month but now my hair is getting dry and tangled day by day.Is there any solution? Thank you for your information on how to take care rebonded hair. Hi i need help, my scalp is getting to dry n m facing the dandruff problem , i do have taken the hair spa but still the scalp is still untouched n dry. Please advise me some product which i can use it on my scalp to get rid of the dandruss n itching. Hi, my hair was rebonded last october 1, and the hair stylist adviced me to use tresemme keratin smooth but i’m using tresemme shampoo for normal hair since the day i washed it, is it okay?, thank you! Very nice.. I just wanna to ask that is it ok to use coconut oil on rebounded hair?? Plz tel me merit and demerit of hair rebonding. Hi, I just wanna ask before I do something to my hair. It is safe if I color my hair first before rebonding it or rebound it first then color it. Thanks! Hello po, nagparebond po ako this april 1, and may swimming po kami sa beach sa April 17 and 18. Pwede na po ba ako sa beach? Thanks po. As much as possible avoid swimming in salt water as it can damage your hair. Also, avoid pools because chlorine can also damage your hair. Hi, nagparebond po ako ng super early morning ng June 18, Monday, Golden Brazillian Rebond po kasi nangungulot na po hair ko. Ive informed the stylist na ingatan kasi manipis po yung hair ko. Then after 2 and a half days, i washed my hair na po and it turned curly again. Ive visited the stylist then she said, she will redo the Brazillian Rebond and made sure that it will be okay. So that night nung natapos po, okay naman shiny naman po hair ko and malambot, except doon sa may scalp, matigas po ung hair ko sa may scalp. I think nadamage po hair ko sa pag redo. First day po ngaun after irepair ung rebond, hindi ko pa nawawash hair ko. Natatakot po ako na baka maglagas po hair ko pag binasa ko. Ano pong protection need ko gawin? Thank you po.